The name Tautai draws on the Samoan word for navigator. Tautai is New Zealand’s leading Contemporary Pacific Arts Trust and will be taking over SaVAge K'lub for a one-night-only mixer with some of Oceania’s leading artists. Courtney Sina Meredith, Director of Tautai will be hosting the evening gathering and talk story. Pupus, Libations, Facilitations & Awa Sensations. The SaVAge K’lub presents 21st century South Sea savagery through the re-occupying of a storefront in Chinatown, Honolulu. Reusing, reframing, remaking, repurposing all things available with as little waste as possible!! Educators Pau Hana: An open invitation to teachers across disciplines, institutions and islands, HB19 is offering up a gathering of valuable minds and hearts. 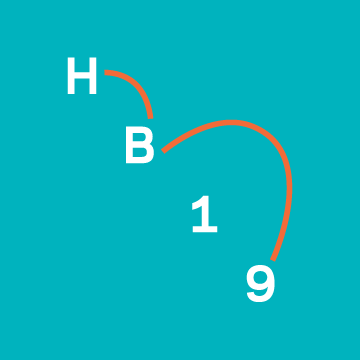 A customized curated tour of HB19 The Hub contemporary art exhbition followed by ono pupu, tasty beverages, good-vibes music and artfully intriguing conversations amongst friends, colleagues and beloved kumu. Panel Talk Story with Waiwai Collective Co-Founders Mahinapoepoe Duarte, Keoni Lee and Jamie Makasobe. Talk story about indigenous enterprise models taking shape in Hawai'i. The inspirations, challenges and importance of creative economic transformation from the roots up. Eunoia is a night of music and spoken word poetry featuring musician Malia Johnson and poet Maggie Odom. It attempts to push beyond the conventional standards of the two art forms and find the intersection between them, while simultaneously making literary art more accessible and current. Eunoia explores topics varying from love to mental illness to social activism, all from the unique perspective of young artists. Despite Hawaii's reputation as a racial and ethnic melting pot, many Micronesian residents face discrimination, both online and in person. Here's what that looks like and what's being done about it. A community talk story hosted by Civil Beat. FORGIVENESS: Storytelling & multi-media - Local Storyteller Jeff Gere shares various Tales of Forgiveness: The Tales of the Three Monks (Japanese & Vietnamese Folktales- live storytelling enhanced with video projections, collage imagery, & audio bed), an Arabian Night tale (shadow puppet tale commenting on Iraq War), and Forgiveness tale from Waianae. Featuring locally-based international touring singer/songwriter Lucie Lynch, slack-key guitarist Michael Tanenbaum, eclectic electric guitar player Nick Gertsson, Blake McMillen on fretless bass,the Honolulu-based band combines the talents of four unique musicians to create a truly original sound. Lucie & The Perfect Wave fuses delicious slack-key soundscapes, searing electric guitar riffs and intricately textured basslines with Lucie’s powerful vocals to transport audiences to cosmic dimensions. A series (6) of short doc (8-9 minutes each) of Hawai‘i’s top women filmmakers. The subjects—Connie M. Florez (Indie film producer), Ciara Leinaʻala Lacy (Made in Hawaiʻi Grand Jury winner for OUT OF STATE), Jeannette Paulson-Hereniko (Producer, THE LAND HAS EYES, and founding director of HIFF), Victoria Keith (Camerawoman and news producer, THE SAND ISLAND STORY), Anne Misawa (Cinematographer, UH Mānoa ACM Professor) Heather Haunani Giugni (Producer, FAMILY INGREDIENTS, Founder of ʻUluʻulu: The Henry Ku‘ualoha Giugni Moving Image Archive of Hawai‘i)—represent pioneering filmmakers as they recount their role, philosophy, challenges and triumphs in building the Hawai‘i film industry and telling unique local stories through a camera lens. A unique discussion about the local jewelry making industry, its challenges and inspirations, by local independent experts in the field. In particular, the opportunities arising from working in the densely multicultural Pacific Rim, where jewelry is often considered far more than mere adornment. Curated by El Dorado Casting Lab, an island based jewelry design incubator, providing education, resources, tools, equipment, and studio space to the local maker community. Joshua Edelstein / Edelstein Metalsmiths. IONA launches their 2019 E Season with a free performance from their beloved show, La Madonna – a live performance installation celebrating the power of the Divine Feminine. The Word Made Flesh features Malia Yamamoto as the 'Awakened Mary', removing the abuse of women from this world with her body. This performance and IONA’s E Season are supported by the Hawaii State Foundation on Culture and the Arts through appropriations from the Legislature of the State of Hawaii and by the National Endowment for the Arts. Presented by Dancers Unlimited, MoveMEANT: Identity & Resilience engages the community through panel discussions and dance workshops to explore the role of traditional and contemporary dances as tools of strengthening cultural identities and promoting resilience. We're hoping to create exchanges between cultural groups that have fought against oppression through creating dance steps or continuing traditional dance practices. The exchanges include a panel discussion and cross-cultural dance / movement classes including Hula, Hip Hop / House, West African Dance, Capoeira and Folkloric Cuban* dances. The panel discussion is designed for participants in high school or older. The dance workshops are open to all levels and abilities - observers welcome. Hosted by Art Therapists of O'ahu, comprised of keiki o ka aina and malahini alike, offer a presentation, discussion and art experientials that will promote a deeper understanding of art therapy and how creative experiences can assist and facilitate with personal insight, wellness, and growth. Presenting art therapy as a mental health profession which utilizes the creative arts, specifically visual arts to help address emotions and trauma, resolve conflict, and ultimately provide personal insight. An opportunity to learn about art therapy in a safe, creative, and fun environment. Absolutely no artistic talent is required to participate. A collaborative project between three Hawaii-based artists: Drowning Dreamers Band, Brady Evans, and smallerclusters/Duncan Dempster, this performance is a marriage of the visual and aural combining ethereal and contemplative sounds with projected illustrations both created live and pre-recorded. Previous performances include Mori by Art + Flea, Honolulu Museum of Art School, and Ars Café. Watch the award-winning documentary OUT OF STATE, which sheds light on the lives of inmates returning to Hawaiʻi post-incarceration on the continental U.S., and then participate in a group discussion, led by the HAWAII COUNCIL FOR THE HUMANITIES, and inspired by the 2019 Biennial’s theme, To Make Wrong / Right / Now. Inspired by Hb19 artist, Matt Kubo. Multi-media Presentation presented by Kailua Art and Art Therapy Studio with creative experiences for participants. Objectives are to 1) Help participants to understand current brain research and how art, art activities and creativity can help us to manage our emotions, 2) Teach participants some creative tools to support emotional health 3) promote Art Therapy and help participants to understand that artistic ability is not necessary in order to use art making for personal insight, wellness and growth.. Performance artist, Liz Miller-Kovacs explores the relationship between commodity, globalized society and the human condition. Mauka to Makai offers an unfiltered window in to a day in the lives of two cousins, who, while traveling from Kāneʻohe to Kailua, grapple with their identity, vices, and the familial bonds that make and break them. Directed by Alika Maikau and Jonah Okano won Best Made in Hawaii Short during Hawaii International Film Festival, join cast and crew for an intimately marvelous experience. FEAST refers to a community dinner, at which attendees pay to join a catered reception, and a portion of that payment is set aside as a prize. While attendees eat, mingle, and imbibe, different artists showcase their work and explain their proposed public art project. After the presenters are finished, attendees vote on which artist’s project they wish to award the prize to. At this proposed FEAST, local artists and creatives will be asked to pitch their ideas for community-driven, public art projects that elevate the Pacific arts community to a global stage. Event proceeds will go towards funding one of the proposed public art projects. oveMEANT for Every BODY is an interactive dance workshop with dance performances that can be improv and/or choreographed. No dance experience is needed, and anybody can join the moveMEANT. Dancers and movers of all ages and abilities explore ways to move authentically, create movement phrases, and tell impactful narratives that focus on self-reflection and empowerment. Exploring dance circles, as a safe space for HUEman connection, expression and celebration. Mindfully curated experiences for the globally conscious palate through intimate gatherings with the intention of honoring the sacred feminine/masculine via meeting of the minds, creative circles, cyphers & collaborations with guest creatives. *Navid Najafi aka Illnomadic is Atlas Tea + Apothecary’s first featured mover in January 2019. (Please read about all the Atlas features on www.atlasteaandapothecary.com) He is a lyricist and music educator at the Honolulu Academy’s Doris Duke Theater through the Soundshop Program and is an emcee for the Na Hoku Hanohano award winning hip hop group Super Groupers. Navid is joined by some of the Soundshop facilitators to discuss the importance of music education for developing our tools to be able to turn our challenges into a work of art through sound. Kat Burke is a doctoral student in the Office of Public Health Studies at UH Mānoa. Her apothecary, Eileithyia (a-LAY-thi-ya) Eyes, is a seed planted by her grandad, Panagiotis Spiros Koromilas, a believer in the food medicine teachings of ancient Greek physician, Galen; a seed that was cultivated at Ho'oulu 'Āina through the guidance of the 'ili 'āina of 'Ouaua and Māluawai and their apothecary, Lā'aukūmakani. Kat shares 2 bitters recipes inspired by Ancient Greek medicine & philosophy. *Seating is limited to 10 guests. MUST RSVP to secure your space & small bite/tea. Corner bench seating is reserved for kūpūna & individuals with disabilities. indfully curated experiences for the globally conscious palate through intimate gatherings with the intention of honoring the sacred feminine/masculine via meeting of the minds, creative circles, cyphers & collaborations with guest creatives. Lyanne Brooks is an educator and community organizer who hosts guest DJs, vocalists and artists from across the globe at Honolulu’s favorite monthly house dance party Soulgasm (at Bar 35 on 3rd Friday & its newest residency at Bevy for First Friday). The event recently celebrated their 11th year. Diring the session, Lyanne offers a simple movement demonstration and dialogue on community building through dance. *Atlas Tea + Apothecary is also pleased to honor Lyanne as a Featured Mover in June 2019 and through a special offering, Astrology Tea Party for 2, a private seating series where guests can book a 5 or 7-course tea party (Petit Treat or Grand Party) and have their birth charts explained through Sun, Moon & Planets Rising (45m reading) or Day or Night (1 hr reading). Brandon Boyd aka Alendi is a classically trained chef from the Virgin Islands. He attended Le Cordon Bleu and is equally passionate about music production, riding his fixie and the environment. *Alendi is the July feature on Atlas Tea + Apothecary and his first instrumental project is set to release later this year under an independent label. Alendi joins PaizLee in a culinary collaboration through a featured small bite offering & tea, while taking us on a journey through visual soundscapes. PaizLee also shares some of her instrumental beat productions for this session. Laura Cho-Stutler is a licensed Clinical Psychologist and owner of Lulu’s Lei + Bouquets on the North Shore. After several years of visioning, Lulu opened her shoppe in 2017. Lulu’s celebrates traditional and modern designs, offering a fresh, sophisticated and organic perspective. Lulu shares a signature floral design to light up the Atlas pop-up location designed by Arch Hawaii, located inside The Hub at Ward Center. *Lulu’s Lei + Bouquets is also pleased to join Bloomingdale’s Mix Masters fashion campaign this Spring 2019. Beelieve Hawaii & Island Beekeper are Atlas Tea + Apothecary’s celebrated features for the month of April 2019, in honor of Earth Day. Jasmine Joy is a bee priestess, conservationist, mentor and owner of Beelieve Hawaii. Her offerings include pollinator education, beekeeping mentorship, small group apiary tours, seasonal sun & moon ceremonies and removal of feral honey bee colonies. She takes us into a Bee Breath Meditation and presents on the topic of Bee Harmony as a metaphor; a recipe for a healthy, dynamic and thriving community. This session also includes a honeycomb tasting. Laura Cho-Stutler is a licensed Clinical Psychologist and owner of Lulu’s Lei + Bouquets on the North Shore. After several years of visioning, Lulu opened her shoppe in 2017. Lulu’s celebrates traditional and modern designs, offering a fresh, sophisticated, and organic perspective. Lulu offers a signature floral design to light up the Atlas pop-up location, designed by Arch Hawaii. *Lulu’s Lei + Bouquets is also pleased to join Bloomingdale’s Mix Masters fashion campaign this Spring 2019. Atlas Tea + Apothecary founder and curator PaizLee shares her journey through visual and performing arts, education, food, social justice, community building, offering insight and process through visualization, writing, intention-setting and sound. Espasol de Japon is the featured small bite for this session; a peace mochi inspired by Filipino & Japanese flavors to honor her late Great-Uncle, Senen Asuan, MD, painter and former leader of a guerilla fighting unit (The Suicide Squad) during World War II, as a way to heal ancestral trauma brought on during the Japanese occupation in the Philippines. The twenty-four reconstructions of jewelry pieces from Imelda Marcos’ Hawaii Collection by Abad & Jones is also a topic for this session, as PaizLee recalls stories from her youth in Manila before the People Power Revolution. Stretch time through tea and experience the Soul Sync meditation to close. Kamakanuiʻahaʻilono Jingao is a Hawaiian Healing Practitioner with a background in Lomilomi, Lā’au Lapa’au and Ho’oponopono. Kamaka has studied with the late Kumu Alva Andrews, Makaʻala Yates, Keola Chan, Kaliko Chang, Alapai Kahuena, John Brink and Dennis Kauahi. He will share his stories of lomilomi and incorporate a hands on seated lomi experience, which incorporates the spiritual, mental and physical aspects of life. Kamaka is joined by Jocelyn “Joy” Ancheta, a cultural practitioner, committed to serving her community as a vessel for healing and voyaging traditions as her ancestors did. Joy specializes in body, energy, prayer and medium work. In addition, Joy is also a lomi lomi practitioner and student of the late lomi lomi master and Hawaiian elder, Kumu Alva Andrews. Her journey as a healer eventually led her to the traditions of voyaging and in 2012, she represented the Philippines in the Pacific Voyagers’ Te Mana O Te Moana voyage. Joy is coordinator of traditional Hawaiian voyaging canoe, Hawai`iloa and is a director for the canoe’s non profit organization, Friends of Hokule`a and Hawai`iloa. Please join us for a talk story session with Joy as she shares her Voyage of Navigating Through Self-Identity and finding balance with perpetuating these traditions in modern times. Me Fuimaono-Poe offers medical insight on cannabis through a scientific lens, while providing local & global news on cannabis culture and healing. Herstory from cradle to the grave on how women have been using cannabis as medicine for millennia. Me Fuimaono-Poe FNP-BC is the founder of Mālie Cannabis Clinic in Honolulu and hails from a long line of traditional healers, midwives and medicine makers. Me is a Family Nurse Practitioner with over 20 years of experience in health care and the cannabis industry. The session explores the traditional uses of cannabis in women’s health. Me shares the many ways women have used cannabis through soothing pelvic pain from menses, labor & delivery and easing symptoms of menopause. Terpene inspired CBD infused teas will be offered. Olanani Acuoasis, Atlas Tea + Apothecary’s February 2019 featured Healers share their insight through Chinese medicine, along with a number of products that can be previewed on the Atlas website. Alicia Yang & Tai Hawkins hold Master’s Degrees in Acupuncture and Oriental Medicine after receiving undergraduate/Master’s degrees from Harvard & Stanford. As Kailua’s first open space acupuncture health spa, Olanani Acuoasis shares solutions for pain, fertility challenges, digestive/autoimmune/sleep/endocrine disorders, depression, anxiety, and their specialty; anti-aging facial rejuvenation. Acupressure is offered and the session focuses on the topic of self-care, what it means in a diverse context and providing Chinese medicine solutions that help bring balance through simple techniques to empower the individual person’s journey of self-care, wherever they are at. Honolulu Biennial in partnership with Biki, Honolulu's bikeshare system, has designed a fun bike + art route that takes you to a handful of the festival's 12 exhibit sites easily accessible by Biki! This is an urban ride designed for experienced cyclists and includes a Honolulu Biennial docent to lead your exploration of some of the art you'll see throughout the 2-hour tour. This event is limited to 10 participants per tour! Participants are welcome to bring their own bike or use Biki. Please note that admission does not include access to Biki bikes. If you don't have a Biki membership already, we recommend the Free Spirit Plan that gives you a bank of 300 minutes to use in any increment of time. After the event, you will likely have plenty of minutes remaining to see the rest of the Honolulu Biennial sites. Already a Biki member? Be sure to keep your trips on the tour under your monthly plan's time limit (30 or 60 minutes) to avoid overage fees. Remember that you can dock your bike at a nearby Biki Stop to reset the timer if you need more time between tour stops. Or you can opt-in to auto reload if you're a current Free Spirit member to avoid any applicable overage fees. Not an active Biki member? After purchasing a spot on the tour, download the free Biki App and log in to access the 1,300 Biki bikes across 130 Biki Stops. Or stop by our office at 914 Ala Moana Blvd to sign up for a membership and activate a Biki Pass during office hours. Biki riders must either be adults; or may be a minor (16 and over) with parental approval and their supervision. This talk looks at the legal cases faced by Queen Liliʻuokalani following the overthrow of the Hawaiian Kingdom. The memories of Curtis Piehu Iaukea, the Queen’s advisor, are shared in order to glimpse the early territorial era in Hawaiʻi and that period’s effects on the landscape and Hawaiian population. Sydney Iaukea holds a Ph.D. in political science with a specialty in Hawaiʻi politics. She is a dedicated community member, instructor, author, and avid surfer. How did voyaging and seafaring activities differ in the Pacific Ocean? What changes happened with the incursion of non-native voyagers? How have those changes manifested in our use of the Pacific Ocean in the 21st century? Join us to hear Susan and Hans discuss voyaging and the motley crews of the Pacific. Susan Lebo is the Archaeology Branch Chief for the State Historic Preservation Division in the Department of Land and Natural Resources. Hans Van Tilburg is the Maritime Archaeologist & Historian for NOAA’s Office of National Marine Sanctuaries in the Maritime Heritage Program. A live-recorded podcast; "Irreverent" is a closed circle gathering for women only, where we will explore & share our stories of and with 'irreverence'. Dear Boss Babes hosts HB Executive Director Kat Tuider & guests in a magic-space, a circle held for and by women. A space to shed the protective layer we carry in life so that we can laugh, play, and connect in a deeper way with our own #female and other #babes. In traditional / contemporary style, guests are asked to bring a small pupu or non-alcoholic beverage to share. The idea of ai pono (health through nourishment) is a theme to carry into what guests would like to bring. Aloha aina, no plastic please! There will be no alcohol served at this event, other delectable libations will be offered. Bring a mat, pillow or blanket to get comfortable on the lauhala mat floor. This event is free but RSVP is required. A powerful talk story with Honolulu-based artists, scientists and activists Chip Fletcher, Victoria Keener, Mary Babcock and Ava Fedorov. A rich discussion induced by the research and body of work being done in response to disappearing geographies and connecting it to other forms of malady and devastation. Delving into the way these losses and phenomena are affecting every layer of life as we know it, our experience of the earth, and our experience of ourselves. Chip Fletcher, Associate Dean for Academic Affairs and Professor, Department of Earth Sciences, at the School of Ocean and Earth Science and Technology (SOEST) at the University of Hawai’i at Mānoa. He is also the Vice-Chair of the Honolulu Climate Change Commission. A professor and scientist doing crucial research on disappearing/changing shorelines due to climate change and other (primarily) human driven phenomena especially pertaining to Pacific Islands. Dr. Victoria Keener, Research Fellow at the East-West Center and the Lead Principal Investigator of the Pacific Regional Integrated Sciences & Assessments (Pacific RISA) program. Dr. Keener also does research on enabling practical applications of climate science for regional decision making. Much of her modeling work uses multivariate time-series analysis and varied spectral methods to identify dominant climate trends in hydrological variables and how they change through time. She is specifically focused on the ecology of waterways and the tender balance that is quickly being lost. Mary Babcock, Associate Professor, Fiber Area Chair & Graduate Chair at the Universtiy of Hawaii Manoa is a pioneering fiber artist (among other forms of expression), who has been working with the devastating rogue ghost nets that wash ashore. She weaves them into dense and intricate wall hangings that turn our gaze back into the oceanic landscapes, while drawing attention to the harmful, inescapable materials that have become embedded into these environments. Her method is work intensive and thought provoking. As part of April Programming for the SaVĀge K’lub Headquarters, we will be offering Spoken Word Poetry Workshops. They will run from 4:00pm-6:00pm every Wednesday starting April 10th - May 1st. In these workshops we will explore themes of identity, nostalgia, culture, etc. in a pre-workshop talanoa / kūkākūkā / talk story. Then, we’ll lead into the work once we’ve all gotten an idea of how we want to approach the topics at hand with our words. The facilitator(s) who will be present can offer advice and guidance on performance, writing, and beginning a spoken word piece, don’t be shame for ask questions. Bring yourself, a loved one who may or may not be with you right now, and any other comforts. We will provide pen, paper, snacks, and beverages. Whether you identify as Filipinx, filipin@, pinay, pinoy, Fil-am, hapa, or just know that way back down the line you had a Filipino great-grandparent... join Filipinx Nipa to celebrate lineage from the diverse archipelago of islands now known as the Philippines. They will be playing mancala, making palm-leaf toys, singing karaoke, and talking story about experiences on the spectrum of filipino-ness and commonalities with pan-Pacific identities. Please bring a dish to share inspired by your family's get-togethers! Hear excerpts from THE VOG, a science fiction novel that reflects on political exclusion of local marginalized communities, and then participate in a group discussion with the authors, Aleeka and William Morgan, who shed light on intercultural communications. A book reading and talk story with husband and wife authors Aleeka Kay and William Morgan. The sci-fi book with nefarious characters named John T. Aldond (an anagram of Donald John Trump), Mr. Upt Junior (an anagram of Trump Jr.), and Reverend Ivan (a reference to Ivanka), appeal to people who are anti-kakistocracy. PORTIA MAU (POPPY) is a paycheck away from being homeless. She's one of the many local Hawaiians who lost her job because of the tourism decline. The number of island visitors dropped when travelers blogged that they saw more homeless sleepers than hot surfers at the beach. When the mayor launches a new campaign to stop the homeless epidemic with job creation, everyone is hopeful that it's the silver bullet - Make Hawai'i Beautiful Again. When the mayor's plan goes awry, Poppy leads a team of women to stop an uncontrollable situation. Come sit & talk with Kahala Johnson, Joy Enomoto, No'u Revilla and Kalaniopua Young in an informal impromtu conversation meant to be a safe space to open up discussion and difficulties about desires, relations, deliriums, decolonialism, longings, the uncanny and the unseen seeking to cultivate courage to speak truth to power in ways that center around Moana (ocean), Aumakua (ancestors) and Ohana (family). A gathering to help make sense of Pacific queer bodies beyond a humanist context, settler colonialism and rugged individualism to emody the messiness of modern Indigeneity. A collective conversation with an intention of building a stronger Oceania that is rooted and routed through bodies, desires and relations of touch that confront and shapeshift beyond coloniality. What does a courageous conversation express when we center Queer Indigeneity in an Ocanic context that refuses to settle?